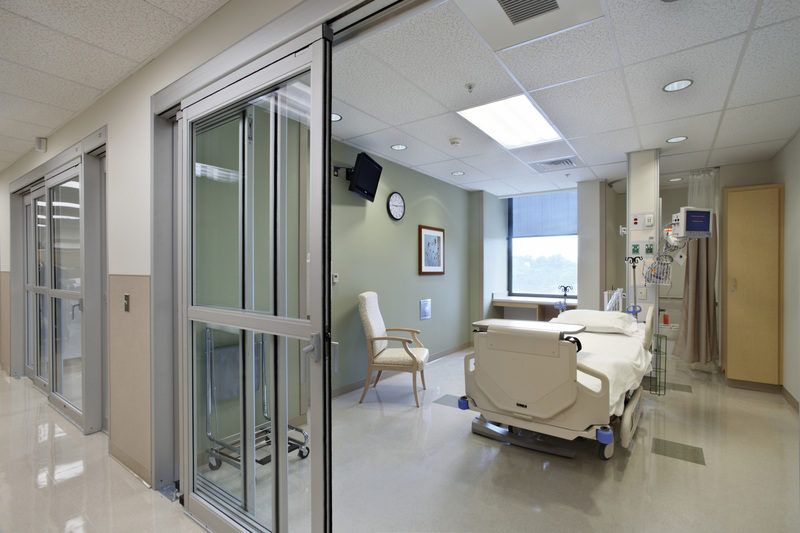 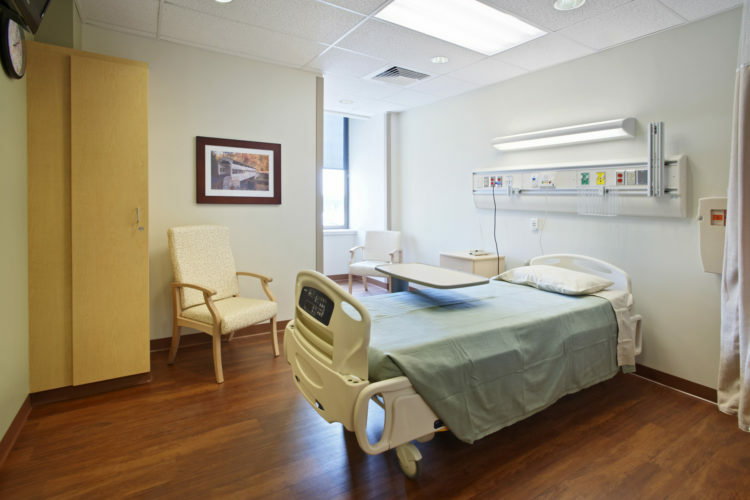 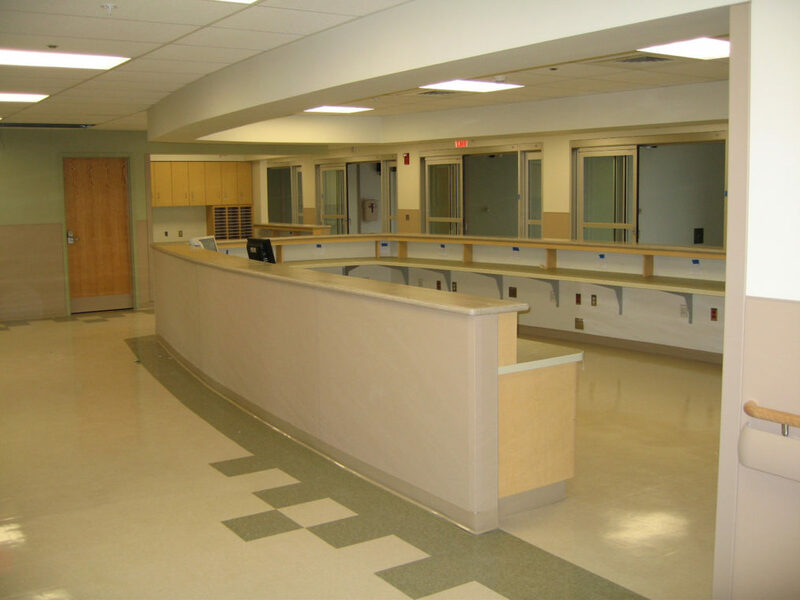 This project reconfigured 4 nursing units, totaling 47single-bed rooms. 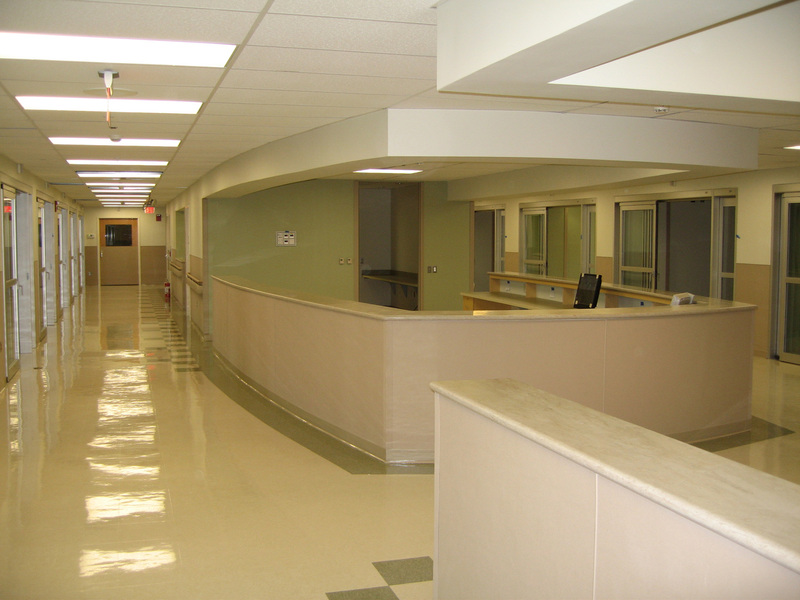 Relocation of 3 units to different floors and phased construction enabled all units to maintain full operations during the work. 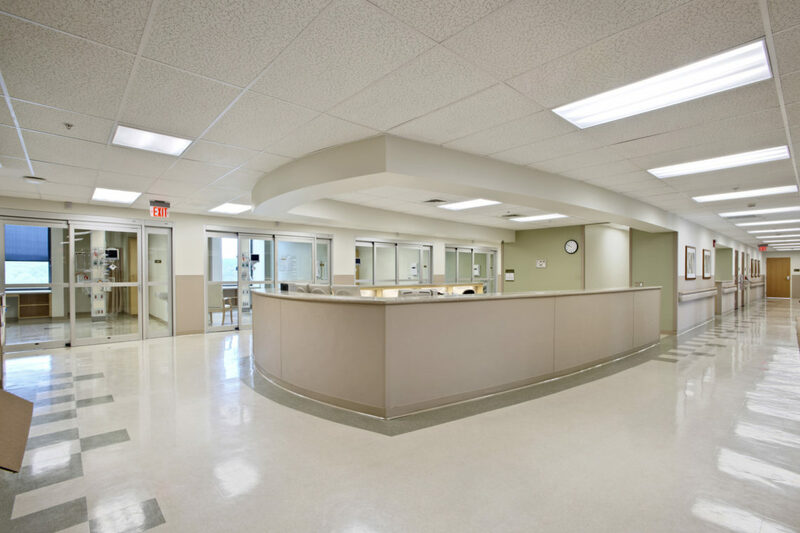 In addition to higher patient capacity, the design provided improved sight lines from nurses’ stations, handicapped accessibility, enhanced patient privacy and a full complement of support spaces for staff and visitors. 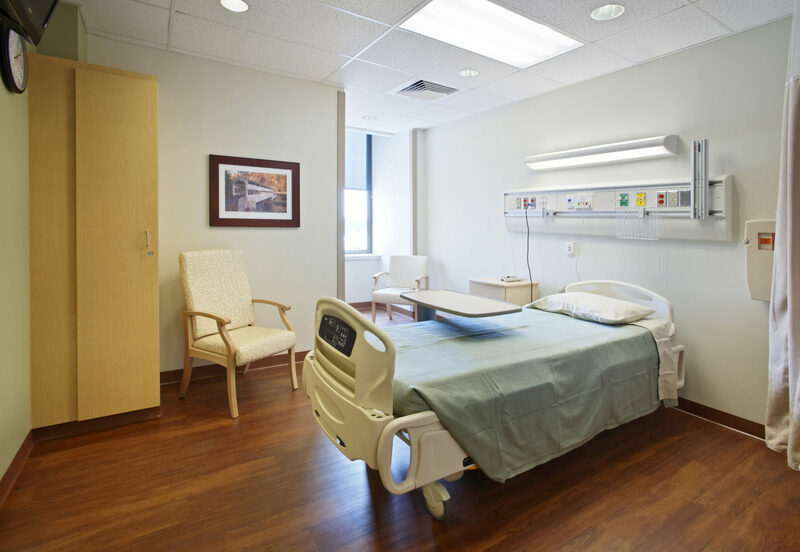 Infrastructure upgrades included exhaust system reconfiguration, and a new rooftop air handler and exhaust fans.